Gesuga is fundamentally a logistics company. 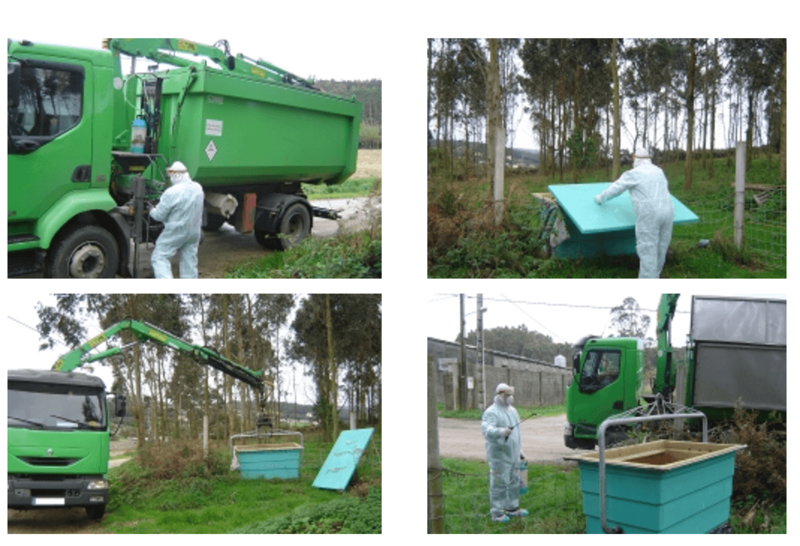 About 500 notifications are daily received for the collection of animal carcasses in Galicia. This process is carried out by Agroseguro, which, at the end of the day, sends all the notifications received during the day so that Gesuga proceeds to their collection the following day. It is at this point where the routes department begins to function as it is the one in charge of collecting these notifications and distribute them in the best possible way among the different existing routes, thus being able to attend to all the notifications in the minimum time possible. In this moment Gesuga counts with a team of six people at the routes department and forty operators. After the process of designing and establishing each route, the following process is animal collection itself. Each operator picks his/her vehicle from the different plants Gesuga has, and proceeds to carry out the assigned collections, following the procedure protocols which the company itself designs and requires from each operator. Each operator must make sure, before starting his/her daily route, that he/she carries enough EPIS (personal protection equipment) to cover all the assigned collections on his/her route sheet. The afore said equipment is formed by disposable masks, overalls, hoses, disposable latex gloves, glasses and safety gloves. Following the biosafety protocol established in our company, each lorry is cleaned and disinfected after each use, being the control of the conditions in which transportation is carried out one of the main risks that plans of biosafety at livestock farms must watch upon. The vehicles are equipped with the most adequate technical means to eliminate risks in the transmission of illnesses inherent to transport paying attention to the “Guía das boas prácticas sobre bioseguridade na recollida de cadáveres en explotacións gandeiras” (Guide of good practices on biosafety when collecting carcasses at livestock farms. 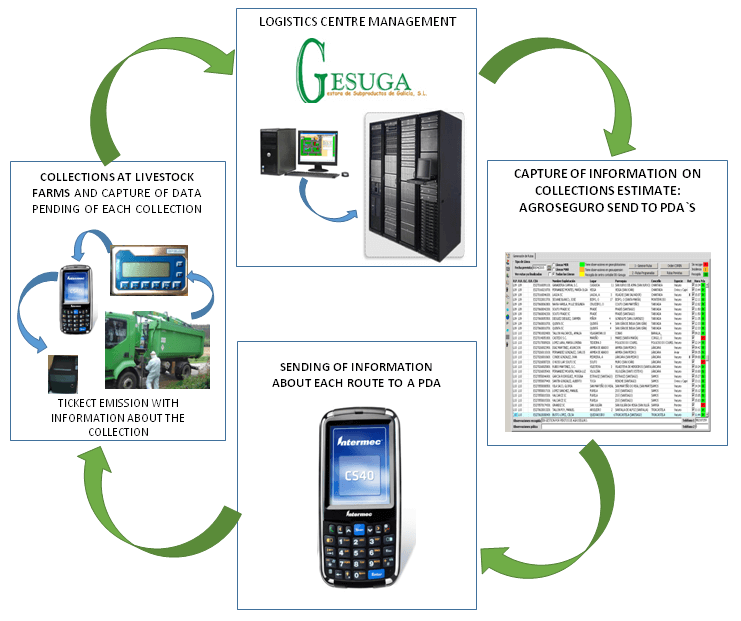 In order to guarantee the traceability required by the current legislation and established in our plan of dangers and critic control points, Gesuga runs a register of the by-products collected from each farm where each vehicle carried out a collection, the dates, the amount transported, the data on the origin and destination of each by-product will be consigned. All products are sent to the transformation plant ON THE VERY SAME DAY of their collection, either directly or via one of the intermediate plants. It is at the plant located in Cerceda, A Coruña, where, previously to the transformation processes, all the goods are received.